October 3rd, 2014 | Moving Tips. Relocating your household goods is an extensive and complicated process, which can raise a lot of questions. We have compiled a list of frequently asked questions when choosing a moving service. Interstate moving is defined as those moves that cross state lines to get from their origin to their destination. An agent is a local moving company that books long distance moves through its van line. An agent usually performs local moves, intrastate moves, packing, storage and perhaps other services. Bekins Van Lines offers a network of 370 agents all over the United States. What is the difference between a moving broker and a moving carrier? Moving brokers are often described as a middle person between the customer and the moving company. A moving broker does not have the operational and logistic capabilities that moving companies have. Moving brokers are sales teams that book your move and sell it to an actual moving company. The broker provides a customer the opportunity to have access to many competitive moving quotes, however, despite there being reputable brokers, there are also rogue brokers who have left customers in bad situations. A moving carrier, such as Bekins Van Lines, has operational and logistical capabilities, such as truck fleets and warehouses. We employ highly trained moving professionals and are licensed, insured, accredited by major business, transportation and regulatory organizations. Moving carriers are also responsible for lost or damaged goods and work very hard to prevent mistakes. Whenever is the right time for you. However, the months of May-September have the highest demand in the moving industry. During the non-peak season September 15-May 1, Bekins has a special offer for customers moving during those months. When should I begin researching and contacting companies about upcoming moves? We suggest to start researching moving companies around eight weeks before you move. 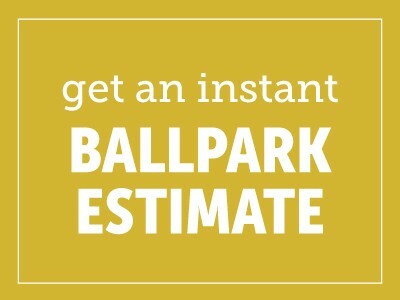 Many moving companies offer online options to receive a ballpark estimate, which would give you an idea if a moving company is in your price range. Once your narrow your search down to three companies, then request an in home estimate for the most accurate price. Then choose the right moving company from there about four weeks before your scheduled move. A local Bekins agent will come to your home and complete a visual survey of your belongings that you are planning on moving. The estimate is based on a wide variety of factors, the two main ones being shipment weight and distance to destination. In addition, the agent will evaluate the need for professional services, such as pack and unpacking, appliance preparation and custom crating and storage. Make sure all the items that you are planning on moving are in plain view, including items from the attic, garage and basement. If there are any household items are not making the move, make sure to point those out as well. Along with providing a written estimate, your local Bekins agents will be able to explain the different types of estimates, your rights and responsibilities and valuation options. A non-binding estimate is the carrier’s approximation of the cost, based on the estimated weight of the shipment and the accessorial services requested. The final cost will be based upon the actual weight of your shipment, the services provided and the tariff provisions in effect. To verify the weight of your shipment, the driver will weigh his trailer prior to loading your shipment and then reweigh his trailer once your shipment has been loaded. An Order for Service is a signed written agreement made in advance with the moving company, authorizing the company to move your goods. A Bill of Lading is the written contract between you and the mover which lists the terms of the agreement (services, dates and actual charges, etc.). The Bill of Lading also serves as your receipt for your belongings. The inventory is the form that lists all of the items that you are moving and their condition. Both you and the driver will sign the inventory after the shipment is loaded and unloaded. The inventory is also used to document any change in the condition of your items or any missing items at delivery. All moving companies are required by federal law to provide each customer a copy of Your Rights and Responsibilities When You Move. Your primary responsibility as outlined by the Federal Motor Carrier Safety Administration (FMCSA) is to select a reputable household goods carrier, ensure that you understand the terms and conditions of the contract, and understand and pursue the remedies that are available to you in case problems arise. You should talk to your mover if you have further questions. The moving company will also furnish you with additional written information describing its procedure for handling your questions and complaints, and a telephone number you can call to obtain additional information about your move. Bekins goal is to delivery your household goods to your home in a safe and timely manner. Although Bekins takes every measure to assure that your items arrive at your new home without incident, sometimes damage occurs. To be sure that your goods are protected, we offer various levels of transit protection from full value protection to basic liability. Learn more about your valuation options and the different levels of transit protection. What are the methods of payment Bekins accepts for my move? Tariff provisions require the move is to be paid in full before the shipment is being unloaded at the destination. You can pay for the move at the time of delivery with cash, money order, traveler’s check, certified check or cashier’s check. With prior credit approval, there is an option to charge the cost of your move to a personal credit. Bekins accepts major credit cards: MasterCard, Visa, Discover and American Express. What questions do you have about your upcoming move? Ask below and we will answer!